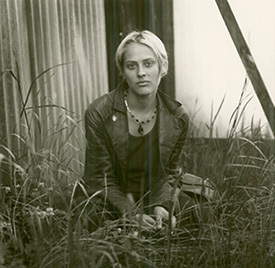 Performance artist Terry Fox died in Cologne last week at the age of sixty-five. 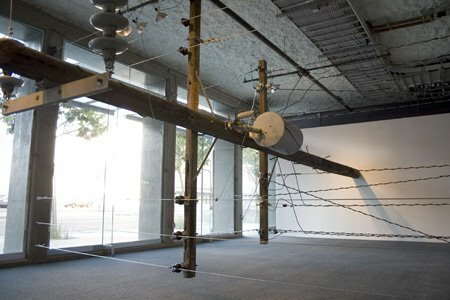 Der Standard called Fox one of the most influential members of the Fluxus movement; San Francisco Bay area artists recall his contribution to the area’s distinctive brand of conceptual art in the 1970s. On October 15, two Margaret Kilgallen pieces were stolen from Gallery 16. These paintings were included in the current Fifteenth Anniversary exhibition. The works were not for sale, but belonged to Griff Williams, owner and director of Gallery 16, and were given to him by Margaret back in the mid 90’s. Needless to say they are of deep personal significance to him. 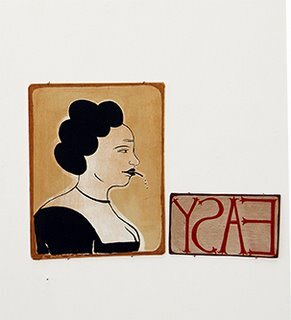 “Easy” was approximately 7” x 12”, and the Untitled (profile) was approximately 17” x 12”, both enamel on wood panel. There is very little of Margaret’s original work out there for sale, if any, and so the gallery is asking that everyone please keep their eyes and ears open with respect to these two works. Should they resurface for sale, or should you see them in a private residence, they ask that you please contact them immediately 415.626.7495 or vanessa@gallery16.com. Any information would be much appreciated. Yes Virginia, the art world is no better than the dumbest reality TV which you sought to conquer. You taught me that. A student like you is the only reason a teacher bothers to get out of bed in morning. Yes Virginia, I’ve been cataloging/archiving every micro-second that I was honored to work with you and I ache that I hadn’t heard the extent of your misery. Yes Virginia, your keen perception and examination of the vulgarities of pop life and the nonsense of the hopelessly inadequate alternatives still rings like a silver bell in our hearts. Your devilish, dark, mischievous sense of humor still hangs in the air like night blooming jasmine. Could any of us saved you from your horrible intention? Yes Virginia, I know you’re in a better world because nothing could be worse than a world without you. As the ship of state lurches from crisis to crisis, if you watch the markets & listen to Paulson and Bernanke, you may feel we’re about to go under. Or a vague sense of nausea might be flowing over you, as a giant wave of it must be flowing over those in congress as they get yet another heaping load of spin spiked with hysterical urgency, making it hard for them to keep or maintain their sense of balance. 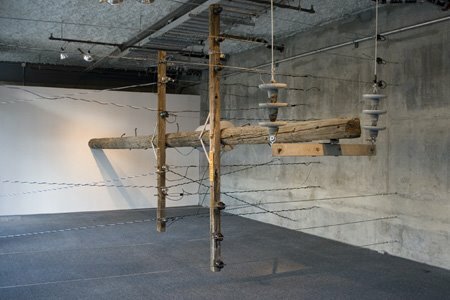 Things are out of kilter and Luther Thie’s Tilted Pole at Art Engine Gallery seems to mirror aspects of the situation. Old technology we still depend on has been eclipsed by new, and the infrastructure is left to decay. New untested security products turn out to be more hazardous than those created for safety after the depression, then jettisoned as if so much excess balast. An out of balance condition makes things more dangerous, as it brings hazards close to us, too close to be safe. Walk around Tilted Pole and see if you agree with me. But don’t touch the transformer. Don’t those contain PCBs?